A search of my Gmail shows that I activated my SPOT Messenger 2 on June 13, 2011. Since then, I have used my SPOT to sail throughout the Caribbean, eastern Atlantic, and as far south as Colombia. On deliveries it has become a critical means of communication to the owner as to the whereabouts of his sailing yacht – a big value add. What delight the owner had as we crossed some rough seas in the wide expanse of the Caribbean Sea enroute from Miami to Colombia. The owner tracked our slow progress and then when the winds and seas turned he excitedly watched us make 200 nm days! He told us afterwards how much he enjoyed following us, glowing with joy. 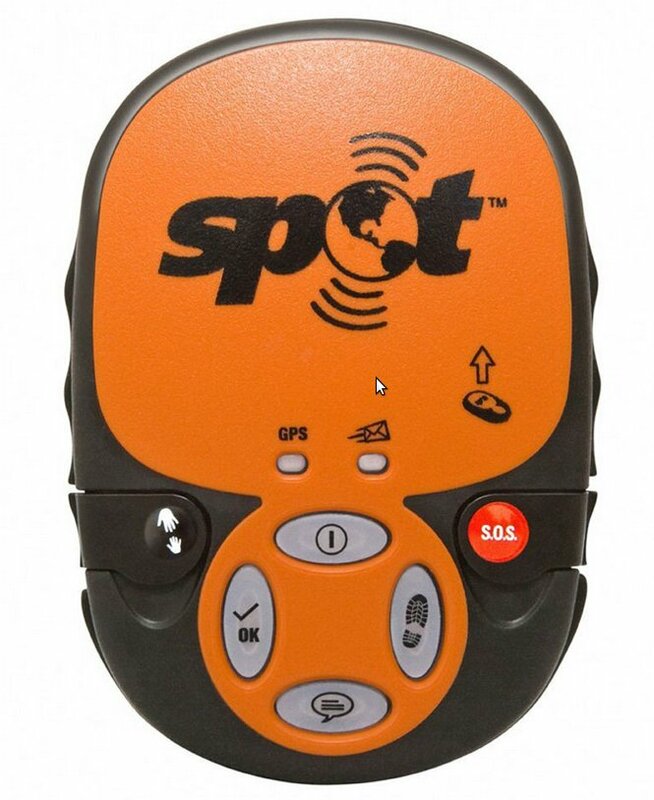 This review discusses the strengths and flaws of the SPOT Messenger 2nd generation device that I have discovered during my journeys. Cost: At $124 new and even less used, the hardware cost of a SPOT is much less than Delorme or a full sat phone. The yearly subscription is $100. And used in tandem with a SAT Phone thate receives unlimited free texts, you can have nearly full communications for weather routing purposes for no additional fees. Durability: The SPOT is bomb proof. Rain, wind, whatever I have never worried. Battery life is good too. And of course you should always take spare batteries. Map Pings Last Only 7 days: So many times, I have come back from an offshore adventure excited to look at my route only to see a partial route because the trip had lasted over 7 days. SPOT’s online maps only show the last 7 days. There is a way around this by using Spotwalla. For instance here is a Spotwalla map showing my trip a few years ago back from Puerto Rico. Difficult website (findmespot.com): One of the annoyances of SPOT Messenger Gen 2 (and 3) is that you have to add your messages to the online portal. You also may want to setup a new tracking map for your new trip. I like to change the title of my map and restrict who has the link to the new trip’s map. I guess I might be able to use the website easier if I logged in often to create new trips and update my messages, but when I login once every so often, I find myself totally lost by the online portal. It is not intuitive and features seem buried. I think it has gotten better as they update it, but I dread logging in. Hard to Push Buttons: I can see that it is good for the buttons to be slightly challenging to push, but with the SPOT, I feel like I am digging out someone’s eyeball when I try to say I am ok. You have to work your finger in deep to activate the button. I find that I occasionally think I have send a SPOT ping only to realize later on that I did not depress the button enough, and nothing was sent. Small Lights: Going along with the above complaint, the lights can be difficult to see especially on a hot sunny day in the Caribbean. If the light was easier to see, it would be more obvious to me whether I depressed the button or not. No GPS Signal: You do need an unobstructed view of the sky. If the device is down below on a boat or inside a building, more than likely I get a red light on the blinking GPS instead of the green. For my purpose, I am happy with the SPOT device and will continue to use it. I do not use the automatic tracking feature of the SPOT 3 Satellite GPS Messenger as I like choosing when to ping the map myself. The DeLorme AG-009871-201 inReach SE has always seemed too expensive for my usage but with the new Freedom Plan I see Delorme offering it might make sense if I need to purchase a new device. If I do make the switch and update my personal beacon, I will post a link to the new review here. Thanks for reading, and please comment below with any questions.